I don’t know about you, but one of my favorite all time candy is Almond Joys. I simply love them. Chocolate, Coconut and Almonds, oh yeah! So with that in mind I decided to create a cookie based on my favorite candies; Almond Joy Cookies! 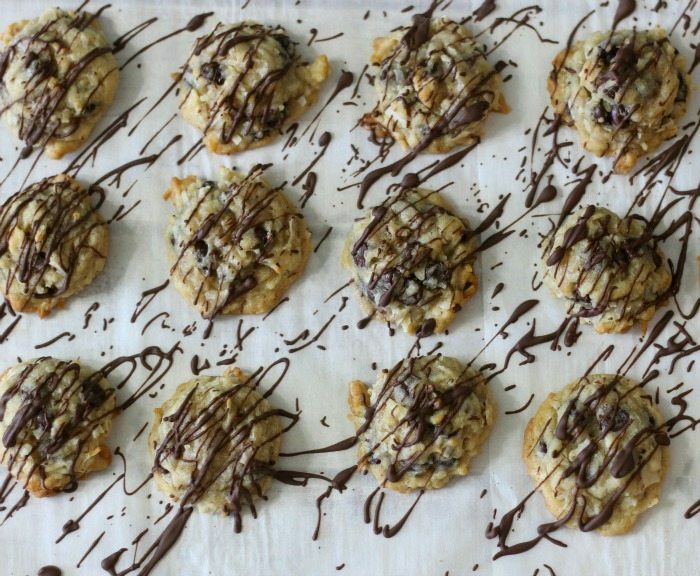 If you love Almond Joys, you will just love these cookies. 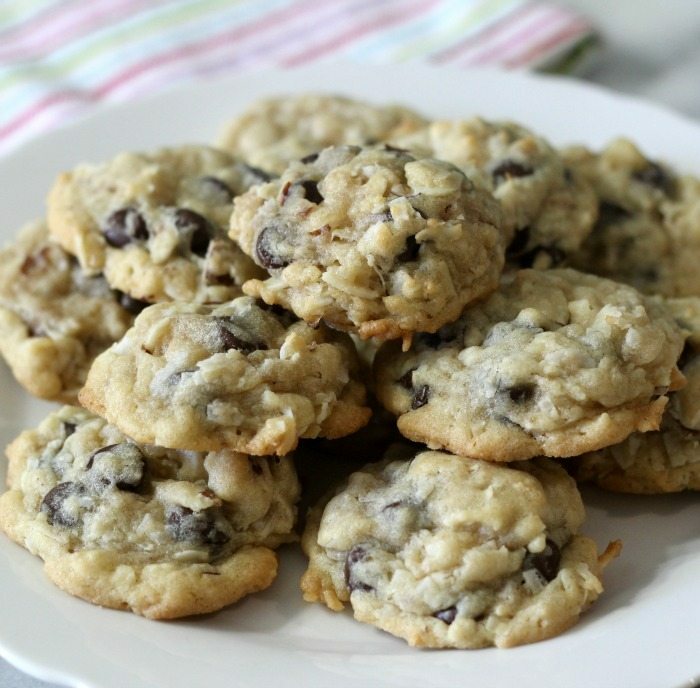 These cookies are chunky, soft centered, crispy edges with bits of dark chocolate, coconut and slivered almonds. Oh so good! They are perfect for serving with a cup of coffee, serve in lunches, have as a snack. Plus what is nice, they freeze beautifully! I went a little crazy and on a few of the cookies, I melted some dark chocolate and drizzled it over the top. It is not required, but fun to do. Sometimes I get bored and start getting a little creative. I will tell you they taste so good with the chocolate over the top, but taste just as amazing plain. I love that it’s a candy bar in cookie form and a lot healthier for you then the actual candy. Hmmmmm…. maybe I will make Almond Joy Candies one day? 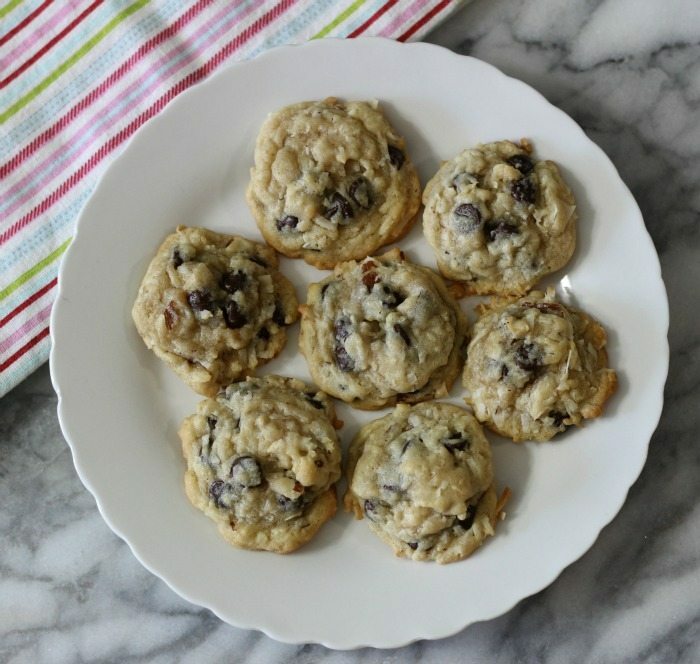 A chunky, soft centered cookie full of dark chocolate, coconut and almonds. Tastes just like the candy but in cookie form. In a medium bowl, add flour, baking soda, and salt; set aside. In a large bowl add butter and sugar and beat until light and fluffy, about two minutes. Add the eggs one at a time. Add the vanilla and almond extracts and mix until combined. Slowly add the flour mixture into the egg mixture and mix until just combined. 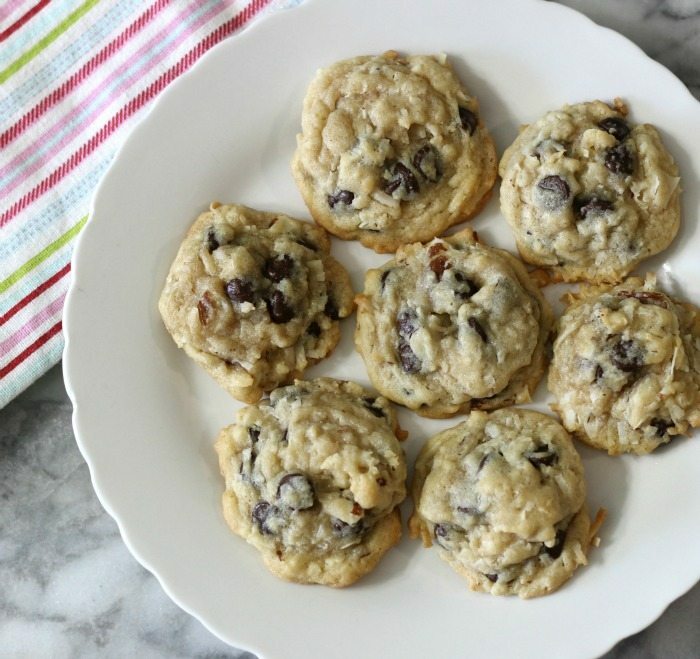 Fold in coconuts, chocolate chips and almonds. Scoop teaspoon size dough onto prepared baking sheet and bake for 8 - 11 minutes or until cookies are lightly golden brown on the bottom. Let the cookies cook for two minutes and place on a cookie rack to completely cool. I just love making cookies, as you know. I made these over the holidays and gave them to my Husband to take to work. They turned out to be a hit. I hope you have a great week! For me, it will be crazy! My day job keeps me so busy, even in the evening! Sigh.. 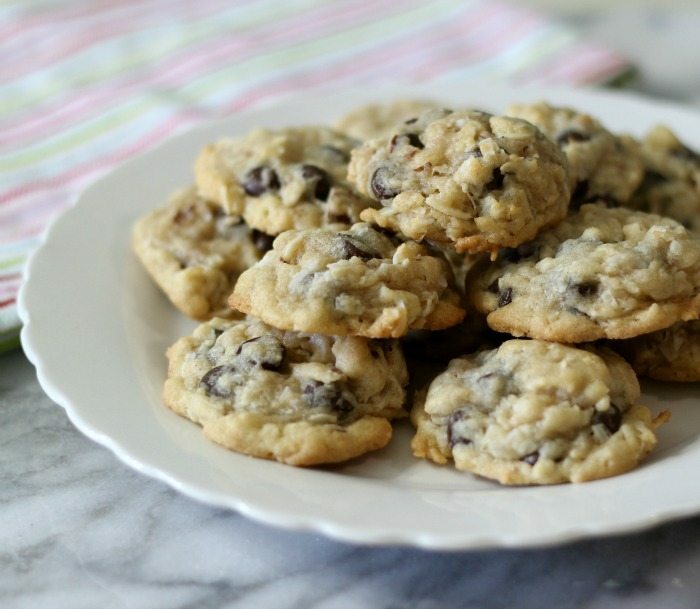 These have got to be my favourite ingredients and even better combined into a cookie. Yum! !